Sometimes, the best pieces of advice come from people who've been there, done that. If you're planning your wedding, get some enlightening wedding tips and marriage advice from newlyweds and from couples who've been married decades. 1. What's your wedding tip for soon-to-wed couples? Don't badmouth your partner to other people. Make sure your partner is your best friend—no secrets. Understand what makes your partner feel loved." "Your wedding should not be based on how expensive your wedding budget is. If you have a tight budget, you can always choose to have a civil wedding and have an intimate celebration with your family, close relatives, and friends. 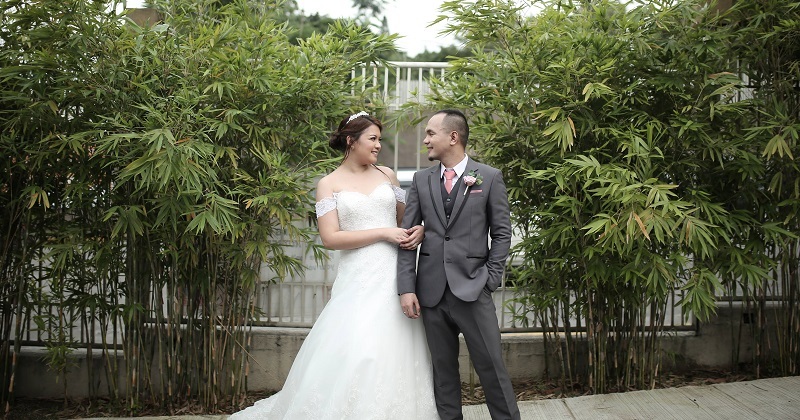 Having a tight budget, we had our civil wedding at our house—a simple celebration but so memorable!" 2. What marriage advice can you share with other couples? "Being the wife of a police officer is not always easy. It takes a lot of patience, understanding, and flexibility. The question is, are you independent, self-reliant, and tough enough to handle living this unusual officer's lifestyle? There's no shame in saying NO. 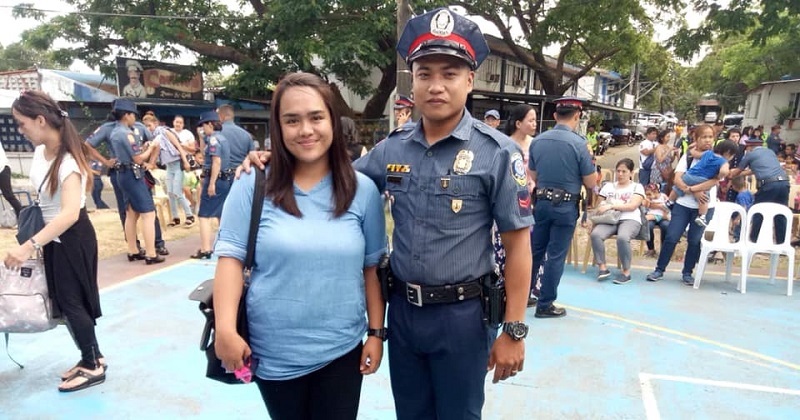 It takes a tough woman to be a policeman's wife because I have to always manage our time and learn to become independent because he can't always stay at home." "I also have to be alert all the time because I couldn't assure when he will be calling or getting home. I have to be triple times understanding because the sad reality is we're only his second priority. I often say, 'NORMAL couples sleep in the same bed every night.' We are not a normal couple... but I can handle it. I am a happy wife, and YES, I'm proud of him!" "One simple yet very important tip for me is for the both of you to be hands-on in the wedding preparations. 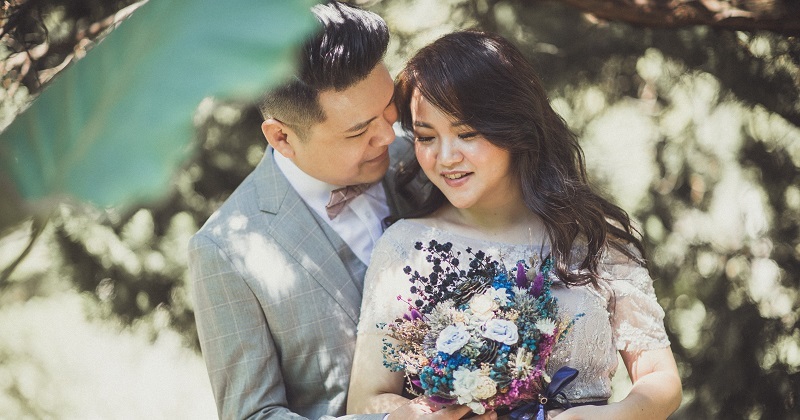 I think that this is when you will know more about your partner's way of dealing with pressure—from wedding suppliers to friends, family members, and especially the parents." "I think my wife and I can agree on this—BE YOUR PARTNER'S BEST FRIEND. Be open about everything whether it is about work, finances, health, or any other concern that you have. You should give each other that feeling where I can share anything with you, and I am also very willing to listen to you, too." "Pero syempre, may rules pa din na if what you're going to say is about your partner, say it in a proper way or isipin mo muna sasabihin mo. And always remember, he or she is your number one supporter but never your punching bag ng mga issues sa buhay. Rant about everything but never forget to water the beautiful tree that provides shade for you. "Lalo sa atin guys, alagaan si misis. Mahalin mo siya kahit galit ka sa kanya. It is a MUST. Dapat 'yan rule #1 ng Bullied Husbands Club. 😂"
"Your wedding day will pass in a blink of an eye. Don’t let silly mistakes or incompetent wedding suppliers ruin it for you. So be sure to rest, de-stress, and get lots of sleep before your big day! In the end, it’s about how you choose to remember it. A perfect wedding sounds more boring than one with its snags anyway. Getting married and enjoying the day as a couple is the most important thing." "The people we take the most for granted are usually the ones we love, but it shouldn’t be stressful to be your partner in life. Invest the most quality time with your partner than anyone else. The returns will be exponential and spill onto your relationship with other people, as well." "Don't just aim for 'happy-wife-happy-life,' but make sure you have a happy husband, as well!" 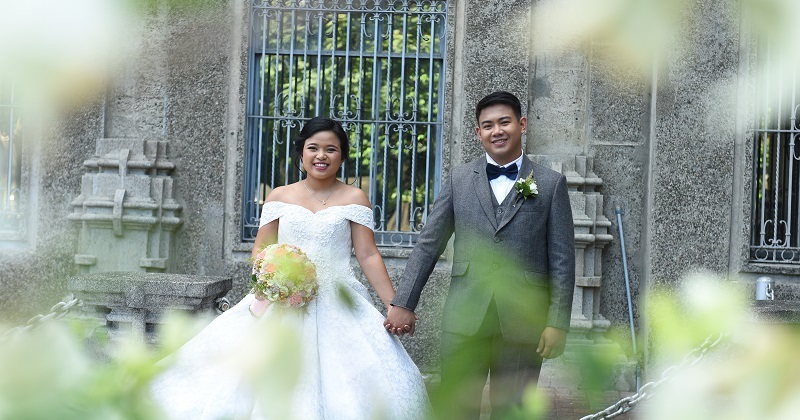 "One important thing we realized is that the best wedding suppliers for us were those who we got along with very well, so it is important to choose suppliers that you are comfortable with." 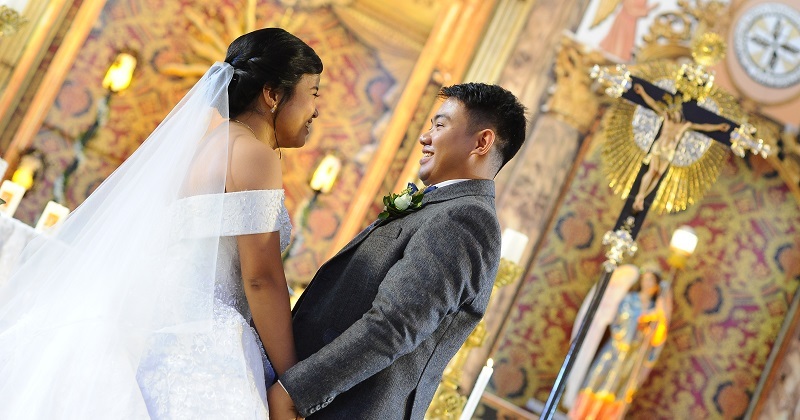 "We did our best to make our wedding as special as how we want it to be, but we were practical at the same time. Finally, do not be stressed out on the little things, just enjoy the moment and wedding preparations together." 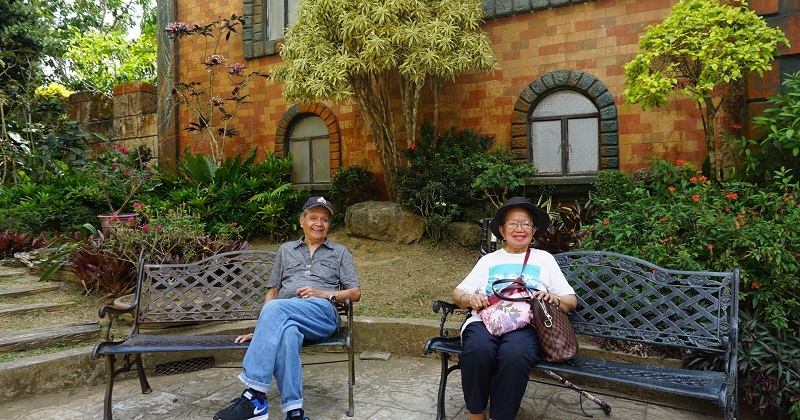 "We learned that patience is very important after getting married. It is a new level from when we were just in a relationship because we are now two persons with different personalities living as one. It will be normal to argue sometimes, but it will just be part of your adjustment and you will eventually learn to do decisions together." 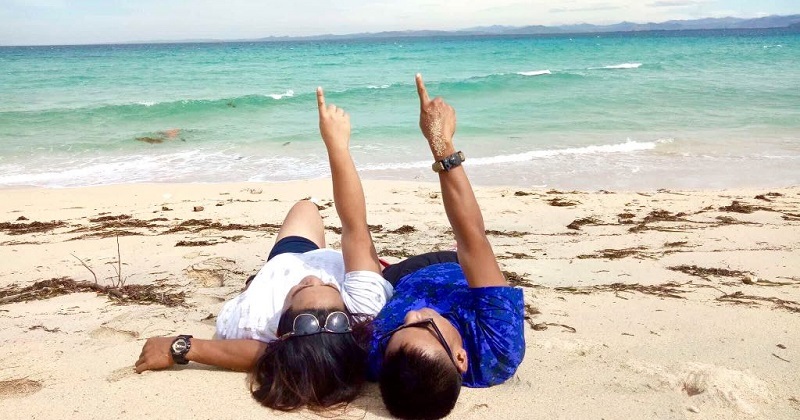 "It is also important to still go on dates and spend time together just like before to keep showing love and affection towards your partner. If there are a lot of errands at home, it is great to help each other do the chores. It can also be a way for you to bond. Just love and appreciate each other every day." "Budget namin noon was P35,000—lahat na. Kami pa gumastos sa damit ng mga parents and mga abay. 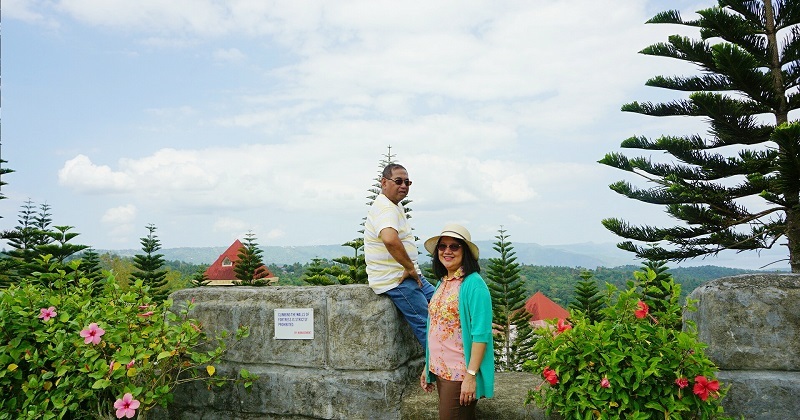 These days, sobrang mahal na ng weddings, so first, save money—both of you—and set a target amount." "Look for the ideal wedding package that suits you. If the package is not fitted for your needs and wedding budget, customize based on your ideas." "Treat each other as friends even if you are already husband and wife." "Think of things that will complement both your interests, the people you want to go with, and what you want to do. That will make life easy and enjoyable!" "Tip: Plan ahead of time. Involve your family and friends in wedding planning. They can recommend suppliers that have has been tested, or they may want to donate or some may be generous to shoulder one of your needs. A wedding need not be expensive if you have a tight budget. A simple yet memorable wedding is all you need." "As the old Filipino saying says, "Ang pag-aasawa ay hindi parang kanin na iluluwa kapag napaso." Marriage is a commitment between two persons, so think of it not just once, twice but maybe a hundred times! The partner you will choose will be your FOREVER! It is a give and take—a two-way relationship." "Of course, it will not be a bed of roses, so be ready for the challenges that you will experience as a couple. Learn to forgive and forget. Understanding is very important. As long as God is the center of your relationship, you will never go wrong. May FOREVER!" "'Wag magastos masyado. Okay lang yung simpleng kasal, basta yung pamumuhay ang paghahandaan." 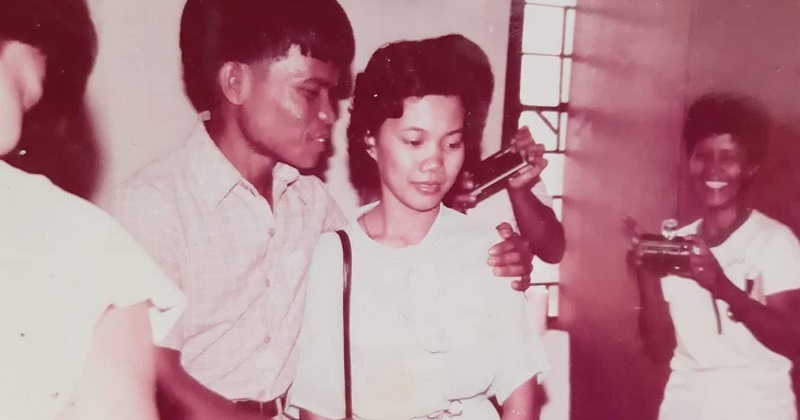 "Dahil 57 years na nga kami, nagtagal kami kasi nagbibigayan, give-and-take. Kung galit o may sumpong yung isa, wag na dadagdag pa. Pahupain muna tsaka mag-usap. Magpakumbaba. 'Wag masyado mag-aaway kahit natural lang yun sa mag-asawa. Pero 'wag magsasakitan. Lalo na pisikal." 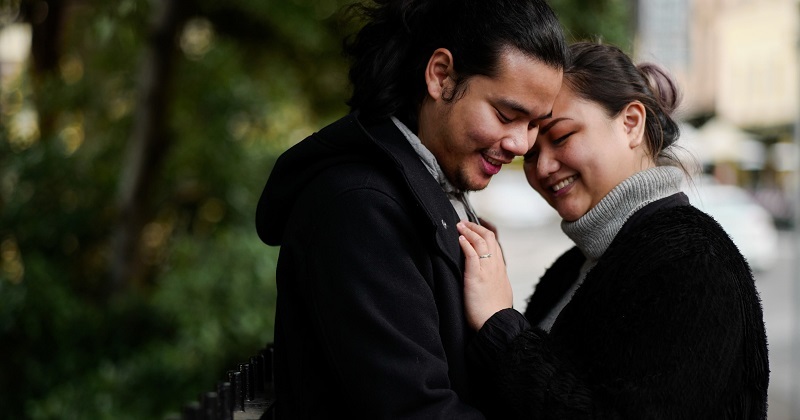 "It was a beautiful start of the year for Nomie Veloria. 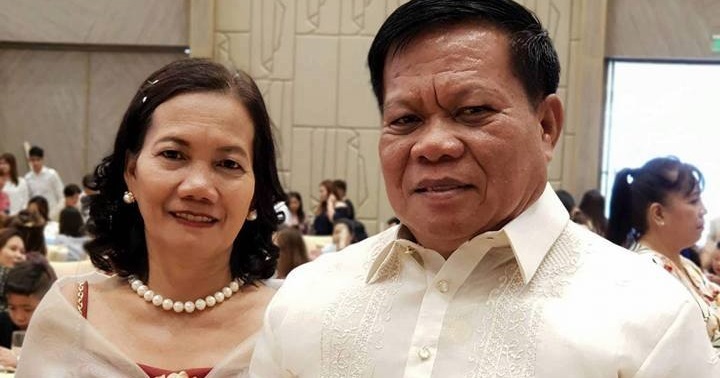 He civilly married the love of his life, Luisa Pama at the office of the mayor in Mandaluyong. It was simple, yet the way he looks at her, he began to discover that love, whatever the definition is or whoever defined such a word, was truly beyond measure. Nomie was 23 when he married Luisa, then 21. Yes, they are both young to know what love truly is." Uphold your vows. Turn away from any vices and malicious or bad habits. It won't do good on your marriage. Be strong. There'll always be temptations. Always. But if one of you is becoming weak, be the strength of the other. Be honest. There's no harm in saying that you don't know everything or you can't do everything. You're not Superman or Wonderwoman. Be truthful to your partner if one of you is struggling, so that the other one can be of help. Be thrifty. Remember both of you are no longer single. Someday, you'll have a child or children. Learn to save for the future of your family. We learned it from the beginning and we are proud parents of four successful women who have each of their own degrees." "Trust is the most valuable thing you can give to your love. When there is trust, everything will follow. You trust the person, therefore you love the person. You trust the person, therefore you were honest and faithful to your person. However, be careful. Trust is the most valuable thing, but it can be the most destructive of all. It can burn bridges, break walls, and damage a strong foundation." "At the same time, give time. Each time is precious. Spend it to your family, and spend it with the people you love. Remember, be hardworking. Support each other not only financially but also emotionally. Be the support system of each other. Love and be faithful always." Need more practical wedding tips and marriage advice? Sign up on BG Bridal Gallery. You may also download our Ultimate Guide to Planning a Wedding for FREE here.